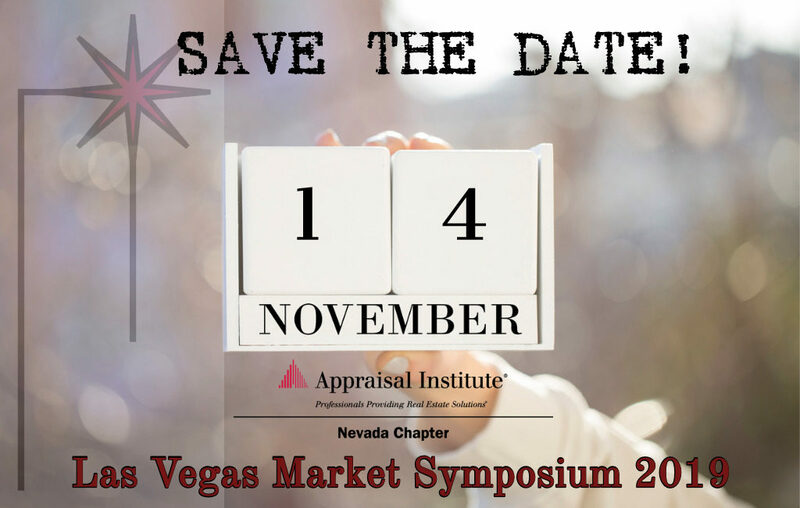 The Nevada Chapter is comprised of real estate appraisers and real estate professionals in allied fields in the state of Nevada. For those interested in entering the appraisal profession, please visit the Nevada Real Estate Division website as the beginning point for state accreditation, and the Appraisal Institute website for Candidate and Affiliate information, as well as an outline of current Designation requirements. Registration for educational offerings and chapter events are required and open to the public. Registration will be available by July 1, 2019. Click here for Symposium Sponsorship Opportunities. Additional programs will be added as they are approved and venues are confirmed. April 24, 2019 – 11 a.m.